In 1871 Joseph Baxendell Snr., the ‘Timekeeping Astronomer and Meteorologist for Manchester was appointed as Southport’s first Superintendent of a new meteorological station located in Hesketh Park. This was located on the site of the present Stansfield Rockery near the astronomical observatory. The equipment needed for the meteorological station was funded by the local philanthropist John Fernley to the specifications of Dr. James Prescott Joule F.R.S This meteorological station became known as the “Fernley Observatory”. Baxendell’s mother Mary, née Shepley, had a lifelong interest in observing the night sky, which encouraged Baxendell’s interest in astronomy. Whilst carrying out his role as Superintendent he continued pursuing this interest, particularly the study of variable stars. Prior to arriving in Southport Baxendell’s observing logs showed he had been studying variable stars since 1836, and by 1849 had made his first contribution to the Royal Astronomical Society, followed by enrolment as a Fellow in 1858. His competent astronomical studies ensured he became highly regarded at private UK observatories, giving him the opportunity to communicate with many well known 19th century astronomers. In 1865 he married Mary Anne Pogson, sister of the astronomer Norman Pogson who developed the modern scale for determining stellar magnitude (brightness), and like Baxendell he was also interested in studying variable stars. Baxendell also had an interest in studying solar phenomenon such as sunspot numbers, and was attempting to establish if there was any significant impact on the earth’s magnetic field or atmosphere. In 1884 as a renowned meteorologist he was elected a Fellow of the Royal Society without seeking that honour. Interestingly James Joule was one of his sponsors, and the SI unit of energy was named ‘Joule’ in recognition of his major contributions to science. You can listen to Rafael Ferreyra playing Benedetto Marcello´s inspiring Psalm 19 here. From 1836 until his death in 1887, he discovered 18 new variable stars and monitored 23 long-period variable stars. The details of his work were published in 1912. Baxendell was succeeded as meteorological superintendent by his 18-year old son Joseph Baxendell Jr., whose main interest was meteorology rather than astronomy, consequently little use was made of the observatory. In 1901 his son donated his father’s observatory and telescope to the Education Department of the then Southport Corporation. They were installed in their current position in Hesketh Park atop a specially built brick structure at a cost of £100, with funding from the winding-up of the estate of the late John Fernley (photo). Use was soon made of the observatory for private viewing by members of the Southport Scientific Society with an interest in astronomy, who eventually formed an astronomical group in 1927 that became the forerunner of the Southport Astronomical Society. The gentleman holding the telescope is thought to be Joseph Baxendell Jnr. The telescope you see today was manufactured in 1869 to the specifications of the brilliant self-taught optical engineer Thomas Cooke, founder of the famous optical firm Thomas Cooke & Sons of York & London. It’s rare to find a working 19th century Cooke telescope installed in a Grade II listed observatory within a Grade II listed Park that opened in May 1868. This exceptional combination enables today’s park visitors to appreciate the heritage value of mid Victorian engineering and optical skills, and also enjoy the wonders of the night sky in a classic Victorian park. This telescope was a 100 years old when humans first landed on the Moon, and today with modern eyepieces its observing performance is better than when originally built. 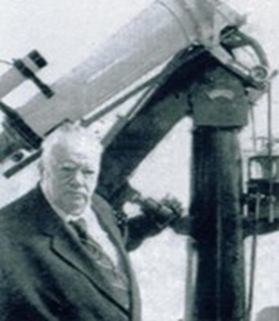 The well-known amateur astronomer, the late Sir Patrick Moore even visited the observatory in May 2002. Southport AS is thus privileged to be able to use this unique educational resource to help people learn about modern astronomy and its related sciences, and our scheduled public openings during 2019 are given below. March 17th (Sunday) – Vernal Equinox (20th Mar). April 20th (Easter Saturday) – Lyrid Meteor Shower (22nd Apr). May 26th (Sunday) – 150th Anniversary of the Cooke Telescope. June 22nd (Saturday) – Summer Solstice. July 20th (Saturday) – Apollo 11 (The Eagle Landed). August 25th (Sunday) – Southport AS formed in Aug 1927. September 22nd (Sunday) – Autumnal Equinox (23rd Sep). October 27th (Sunday) – Uranus at Opposition. November 10th (Sunday) – Transit of Mercury (11th Nov). December 1st (Sunday) – Jeremiah Horrocks: Transit of Venus. December 22nd (Sunday) – Winter Solstice. Note: Where dates are not actual they are shown in brackets. Please be aware that occasionally changes may be necessary due to weather, illness, park management requirements, etc. Should changes be made, a notification will be displayed on this page. Tours of the observatory by groups of up to 16 people, to include: a demonstration of the observatory and its telescope; a comprehensive presentation on the history of the observatory and the telescope – the people who used it and what they were doing with it, and how today Southport Astronomical Society observe with it and use it for the benefit of schools, societies and the people of Sefton generally. For additional historic information visit FOHG’s Observatory timeline.